Absent healing is whereby healing energy is sent by intent to a person who is not physically present. 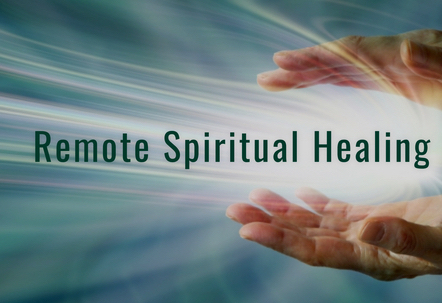 Spiritual healing comes from Spirit, and is channeled through the person sending the healing energy. Helena is a Spiritual and Clairvoyant Healer who works as a channel with Spirit by tuning into her client’s energy body, and working with her Guides as directed for the highest good of the client. HOW DOES HELENA GO ABOUT DOING A REMOTE HEALING SESSION? Once Helena receives your request and therefore permission, Helen places herself into a meditation, asking her guides to guide and assist her as well as work through her as a channel for her client. She then connects with her client energetically and is able to feel their energy, as well as see what is going on with their body. She then asks for direction from her guides and follows these. This may entail various procedures which will vary with each client, such as balancing their chakras, cleansing the blood, helping the body to heal on many levels. One of Helena’s guides often suggests herbal remedies to use on wounds etc. Helena has worked with many conditions physically, mentally, emotionally and spiritually. WHAT WILL I FEEL? DO I NEED TO BE LYING DOWN? Remote healing can be received no matter where in the world you may be. You can be at work, at home, on holidays, studying, eating or sleeping. It matters not and will not diminish the result. Everyone is different, and therefore will notice different levels of energy. Some will see and feel the energy moving inside of them, others feel a little and yet others feel nothing. What you do and do not feel or notice plays no part in the end result. Your heart always beats but you don’t always notice it! Much of what happens is in the background so to speak, and the effects are cumulative. What is important is that you have trust and faith with an open mind, because your mind is very powerful. HOW MANY ITEMS CAN I LIST FOR A REMOTE ENERGY HEALING SESSION? Helena prefers to keep this to a maximum of three areas or ailments per session. As you can appreciate doing this work within a meditation there needs to be limit and time allocation and this is what Helena has chosen as lead by her Guides for her own wellbeing. WHAT IS THE COST OF A REMOTE ENERGY HEALING SESSION? The cost of a session is AUD $107. These Remote Healing sessions are usually commenced within 24 hours of being received. Once the session is completed, Helena will email you with a report of what was done, and if you have any questions you can ask Helena either through email, phone or through Skype. Sessions usually run for a period of 30 minutes which is the time Helena has allocated herself to be in this meditative state. Helena is a Spiritual and Clairvoyant Healer, a medical Intuitive and a Past Life Regression Hypnotherapist. She looks after clients around the world remotely, as well as personal clients on the beautiful Sunshine Coast in Queensland, Australia. Follow Helena on www.facebook.com/healingwisdomandcrystals and you are welcome to leave a short testimonial in the reviews section for Helena. It would be most appreciated. For client testimonials see the client reviews page of her website. For more information or any questions contact Helena via her contact page. If you are a new client, once you have gone through PayPal please send Helena an email through the contact page, letting her know of the two sessions you would like for yourself for the month of February.